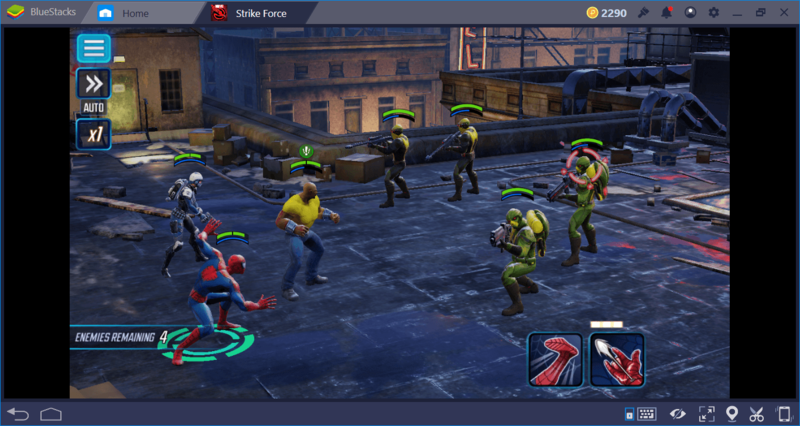 If you’ve gotten used to dynamic combat mechanics, MARVEL Strike Force’s turn-based system may seem a little complicated to you. You also have to take into account the status effects: Especially during difficult missions, they can change the course of the whole battle. 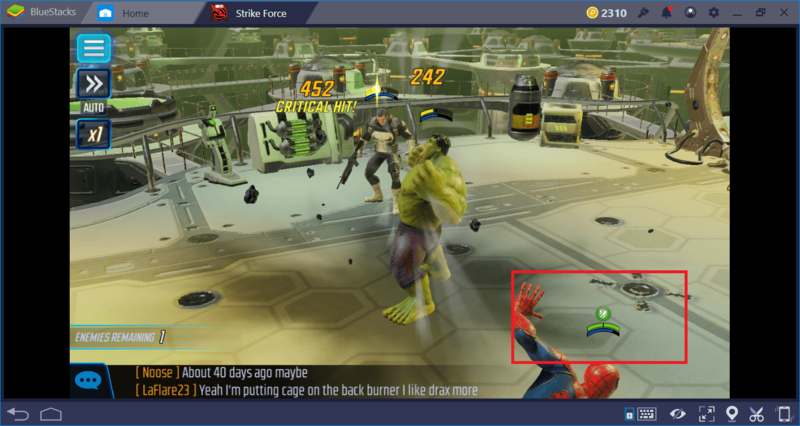 We have prepared this guide for this reason: Below, you can find everything you need to know about MARVEL Strike Force’s combat and status effect system. 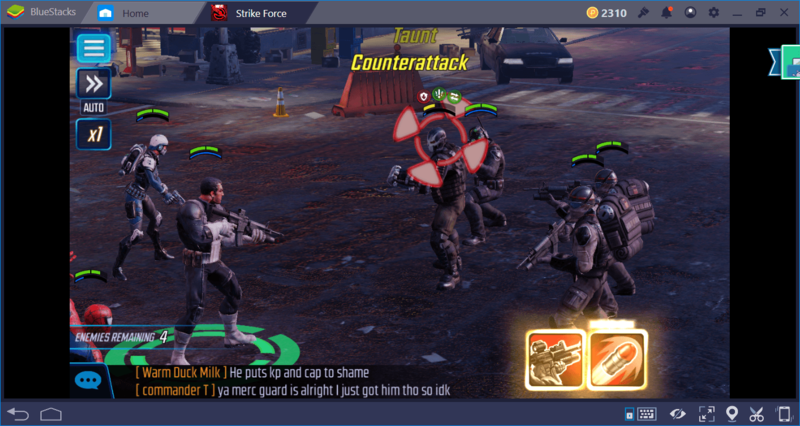 Each battle requires a team of 5 members, except for raid missions. You will decide which heroes to put on your team. 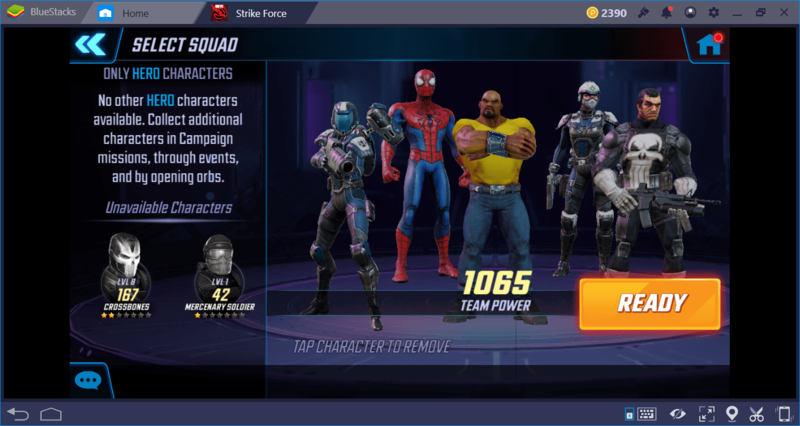 We suggest you take a look at our MARVEL Strike Force Team Building Guide to get help on this topic. Remember that you must use a dynamic roster: Different types of tasks require different teams. In other words, there is no “miracle” team that is effective for each type of mission: Your raid and campaign teams, for example, cannot be the same. Likewise, PvP and Blitz tasks require different team setups. In any case, however, your team must have a tank, a healer, two damage dealers, and a crowd controller. 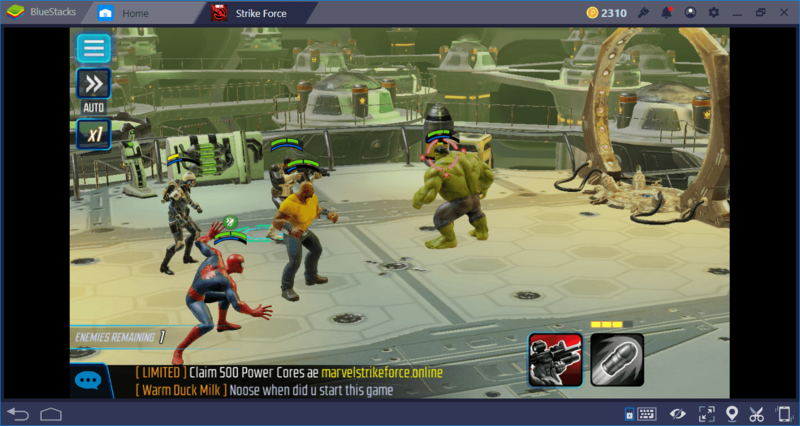 MARVEL Strike Force uses a turn-based combat system. So you can attack only when it is your turn, not anytime you want. The battles in the game always take place against more than one enemy. In the beginning, you will fight against low-level enemies and everything will happen in no more than 10-15 seconds. However, as the game progresses, you will encounter both stronger enemies and opponents at the “boss” level. At the end of each battle, you will receive various prizes according to your performance. There is a scoring system between 1 and 3, and the higher your score, the greater your reward. 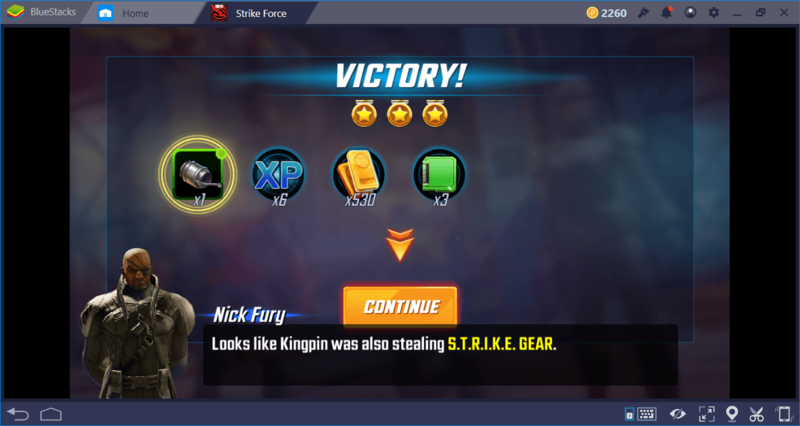 Sometimes, you can even win the character shards of the boss enemies. 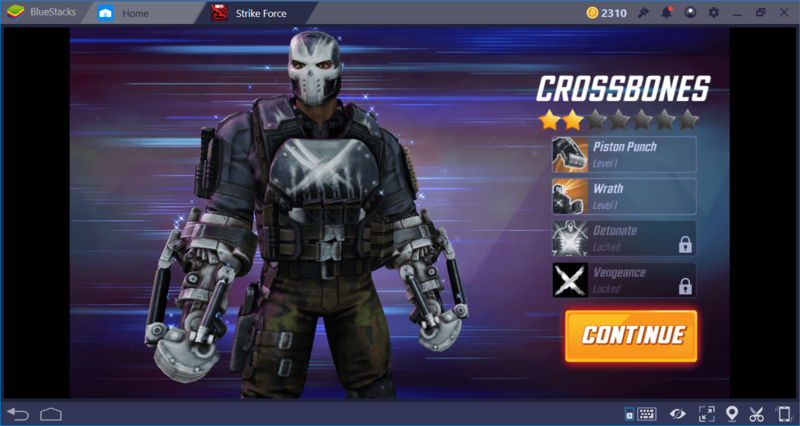 In this context, this is the only way to unlock some characters: For example, to unlock Crossbones, you first have to defeat it. Sometimes, you will also be asked to complete a specific goal during combat within a certain period of time. For example, you may be asked to kill some enemies before they “do” something. Completing these tasks is not mandatory, but you can earn extra prizes if you complete them. When the combat starts, it is decided according to “Speed” points which side will attack first. Since you will almost always have a higher “Speed” rating than your enemies, you will most likely be doing the first attack. (Remember that this may change during raids.) The character who will make the first attack on your team will be decided according to “Speed” rating too. Because the Blaster class characters usually have the highest Speed ratings, they will usually do the first attack. 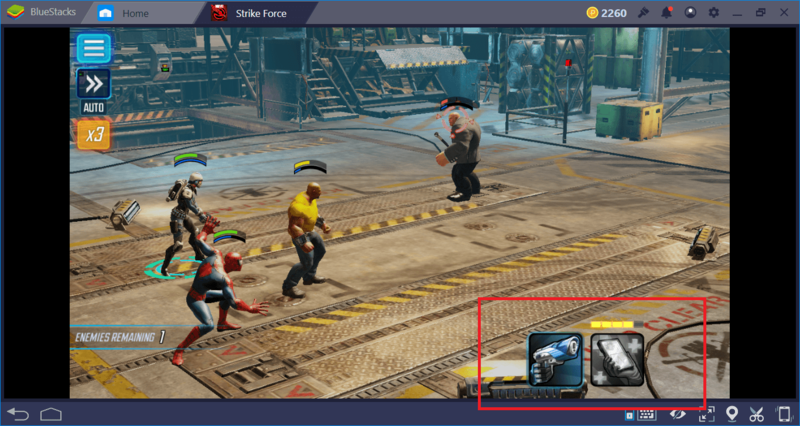 For example, the fastest character on the screenshot below is Spider-Man, so he is attacking first. again – that’s how turn-based combat works. You cannot decide which team member will attack, but you can determine which skills will be used. Each character has 4 skills and all have a different effect. In the beginning, you will only be able to use 2 skills. As you complete the missions and your character’s level increases, other skills will become available. Keep in mind that you can upgrade all of your skills to level 7. So a skill that is not very useful at first may become very effective when upgraded. Some of your skills require energy: You have to wait a certain amount of time to use them again after using them once. (This is called the “cooldown” period.) Some do not require energy, so they can be used continuously. 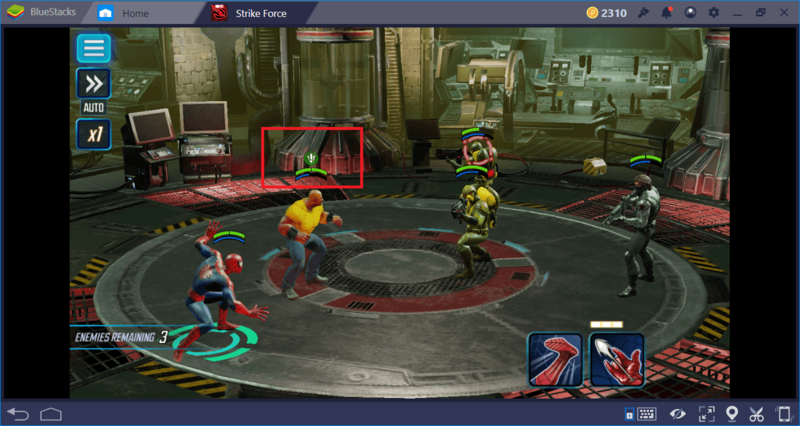 Take a look at the following screenshot: Healer can continuously use his attack ability (to the left) without waiting. The special healing ability on the right side requires 5 energy points each time and once it is used, you need to wait 3 – 4 turns to be able to use it again. Use the tank’s taunt skill as soon as the combat starts. Use special skills of damage dealers against boss enemies, if there are any. Do not spend them on low-level enemies. Only use healers’ special ability (healing) when your team members’ health drops below 50%. Try to use the special abilities of the crowd controllers against multiple enemies. If there is a healer on the enemy team, always focus on him/her first. You can determine which enemy to attack by clicking on them. If there is a boss enemy, try to eliminate him as soon as possible. Because most of them can summon additional enemies to the battlefield. The first screenshot shows the use of “Taunt” effect. The second one shows which character benefits from this effect. 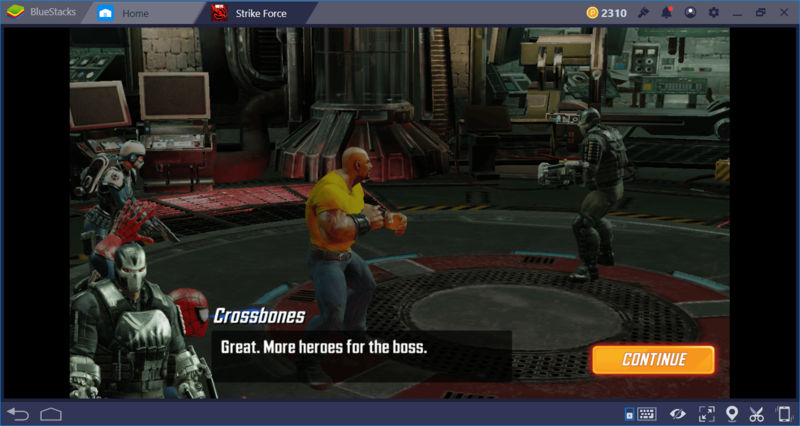 For example, as long as the tiny symbol stays on top of Luke Cage, the taunt effect will remain active and all enemies will attack Cage, instead of other team members. Defense Down: A character’s defense points are lowered. A character under this effect gets more damage than normal. 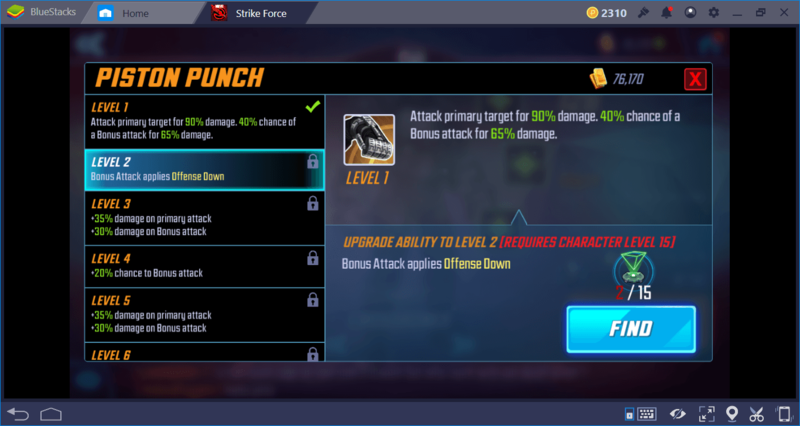 Offense Up: A character’s attack power is increased. A character under this effect will cause more damage than normal. Speed Up: Means that the speed of a character is increased. The energy points of a character under this effect will generate faster and he/she can attack multiple times. Paying attention to these effects is of great importance, especially in challenging missions. If, for example, a boss is under the “defense down” effect, you can quickly get rid of him by using your special abilities. If the same effect applies to your team members, then you will soon have to use the healer’s special ability. 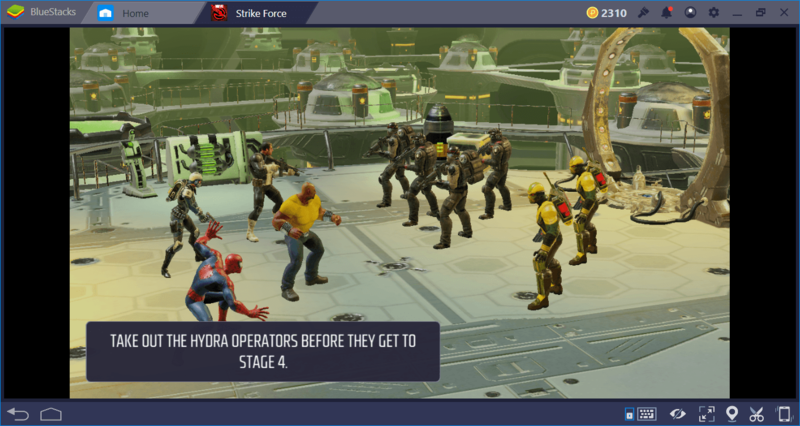 The MARVEL Strike Force combat system may not look dynamic, but it actually forces you to make a different decision every time. Players who make the right decisions win battles much more easily! We recommend that you read our other guides (especially Team building Guide and Best Heroes Guide) to be more effective on the battlefield. We are sure you will be victorious and save the word pretty soon – good luck! 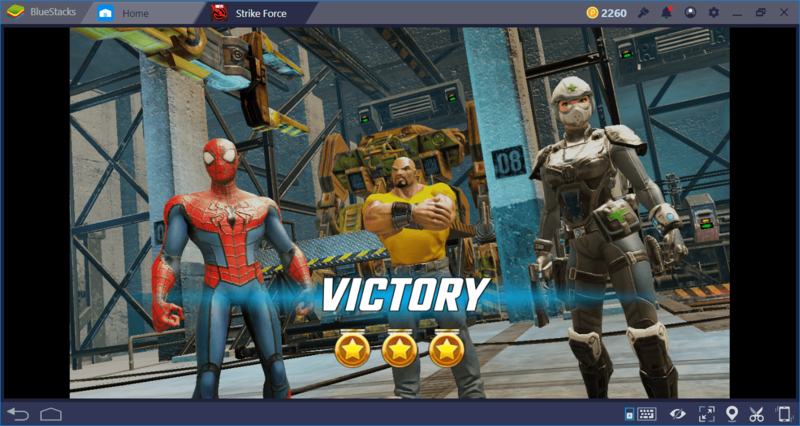 Download MARVEL Strike Force Now!